We put a lot of energy and time into making sure you feel comfortable with us. Why? Because we love Jesus and people and we want to make sure everyone knows they are welcome at our church. Our services last around an hour and 15 minutes and we provide a children's ministry called, Encounter Kids for kids up to elementary school. 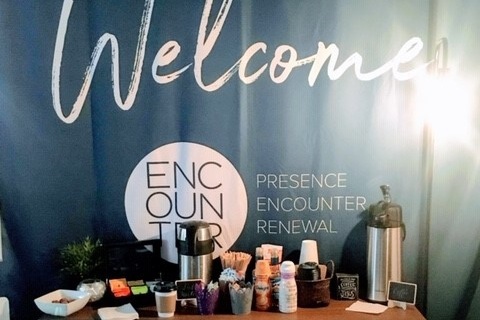 As a first-time guest, we want to make sure your experience at Encounter is great. Stop by our welcome table on your way in and meet someone from our team who will answer any questions you may have. Grab a coffee and snack before making your way in and check out any announcements on your bulletin and on the screen. 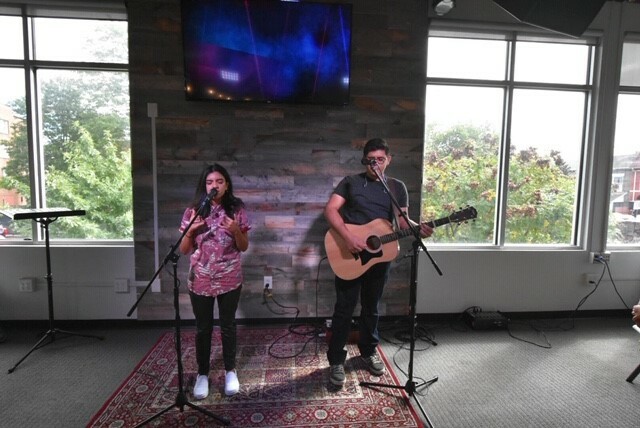 We worship and bring praise to God by singing songs led by our team that are contemporary and easy to follow. We also share the songs we sang every week on our social media and newsletter so that people can learn them if they want to and worship by singing on their own throughout the week. Through the sermons and messages at Encounter, you'll hear teaching from the Bible that applies to your life no matter where you are on your journey with God. We love to be open, honest, and learn about Jesus. Every week we celebrate what Jesus has done for us by taking communion. We invite people to participate in communion with us to remember and declare that because of Jesus, we are free, have hope, grace, and a relationship with God. All first-time guests receive a Connect Card in their bulletin, for every first-time Connect Card that we receive, we will make a donation to our local school, Harriet Tubman Elementary School in Columbia Heights. Second-time guests will receive a special gift. It's our way of saying "thanks for coming." Take your Connection Card to the Connect Table after service and someone from our team will give take care of it. At Encounter we believe in the foundational benefit of being rooted in Scripture that's why we offer a program every Sunday morning during the sermon time for kids. We will be using The Gospel Project curriculum and beginning in THE beginning with Genesis and the Creation Story. Learn more about Encounter Kids here.